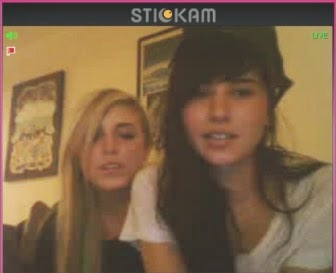 Stickam was one of the most popular site for live streaming on webcam. But recently they have closed stickcam.com service officially. But, Chatting since the advent of the World Wide Web has been a great area of interest for people across the globe. With the plethora of a huge range of free chat sites, it adds to the dilemma to choose. However, recent chat sites like Stickham Shuffle have gained popularity. They more of a chat room that revolves around roulette services. Since this site picked up in popularity, many more new chat sites on same lines have hit the market. This is a funky online chatting site that provides you with free chat rooms live. You simply have to select any of the enlisted rooms and chat. It caters to teen chat, kids chat, boys chat, music chat. This is quite popular online chatting platform like stickam that allows free webcam chat. The best part being you can chat with 12 users online simultaneously via webcam! That sounds so very interesting. Apart from that you can also create your own chat rooms that too free of cost. This site supports textual and video chat. As the name suggests, it's a dating website and you can find guys and gals from all over the world chatting online. To get started, you have to create an account. Alternatively, you can use your Facebook credentials as well. It offers you a city of your own where you have a network of member customized chat rooms that have a wide variety of interests. Participation is absolutely free. You may sign up to add on the advance features. A mobile chat site that is trending as favorite amongst users. You need not to register with your email ID here. It caters to country specific chat rooms, so figuring out your local users is way too easy and comes handy on both mobile and PC versions. Catering to all genres from teens to adults, singles to ready to mingles, students to travellers etc you have a wide range of people to chat with, all for free!. A site that is exclusively dedicated to teens. Here you get teen chat, message boards, gaming zones, jokes and much more. Go ahead and explore! Paltalk is another website like stickam where you get to browse thousands of free chat rooms and make your own too. The site offers you free webcam chat for up to 10 people in a go. Having a large online community of free chat rooms and users, it also has so much do for free viz. Games and boards etc. This is a fully featured, with state of the art java enabled chat software that allows smooth chatting on the go for free. Patrons can easily login to these websites and while chat with people of same interest. All you have to do is simply enter the chat room and see who is online to begin. Leave your suggestion about these stickcam alternatives.